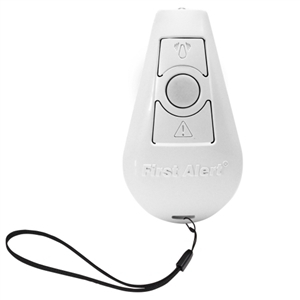 Safeguard yourself and your belongings on campus with the Protection on Demand Personal Security Alarm. Offering security in the palm of your hand, the POD device functions as a computer alarm, door alarm, panic alarm and LED flashlight. Our two story dorm escape ladder easily deploys from standard windowsill and stores compactly. Be prepared in case of emergency. Plan and review escape routes from second floor using this two-story escape ladder so you are comfortable and familiar enough with your emergency escape routes to respond automatically should an emergency occur. Our three story dorm escape ladder easily deploys from standard windowsill and stores compactly. Be prepared in case of emergency. 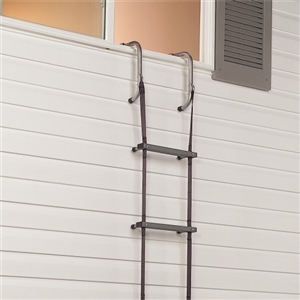 Plan and review escape routes from second floor using this two-story escape ladder so you are comfortable and familiar enough with your emergency escape routes to respond automatically should an emergency occur.